What do you need? 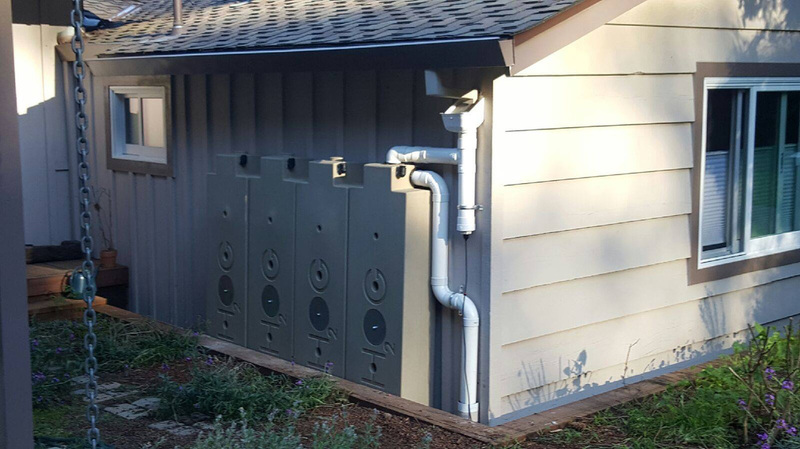 Vertical or horizontal rainwater storage? 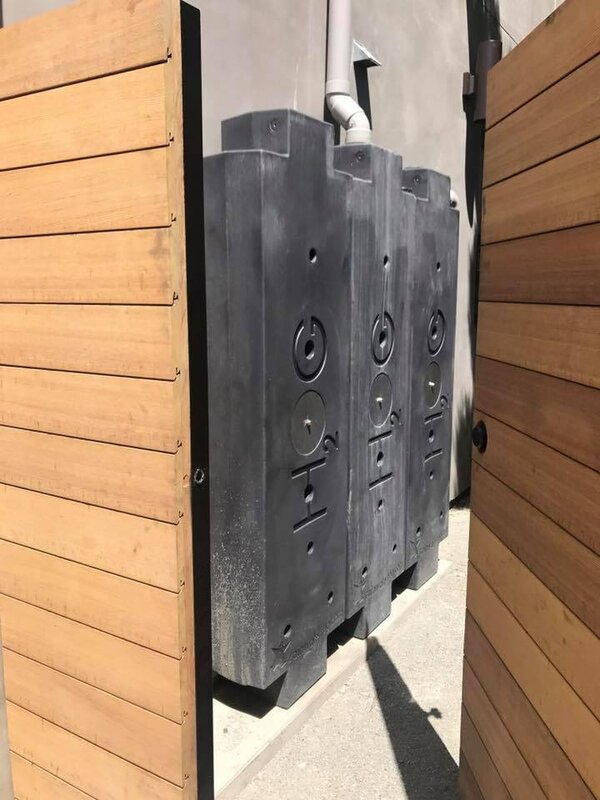 If Vertical, you will want the Steel Wall Kit. How many HOGS? If just a few, use the handy DIY Graf connection. If more than 3 HOGs hard-pipe the overflow like these. Will you use a pump for pressure? That means the ball valve outlet. or will you use gravity and a hose? Get the hose-friendly outlet. NEW! 200-gallon 4-HOG System HERE! * SAFE WATER Cannot tip, spill or roll. double the pressure of a barrel! Works vertically & horizontally.